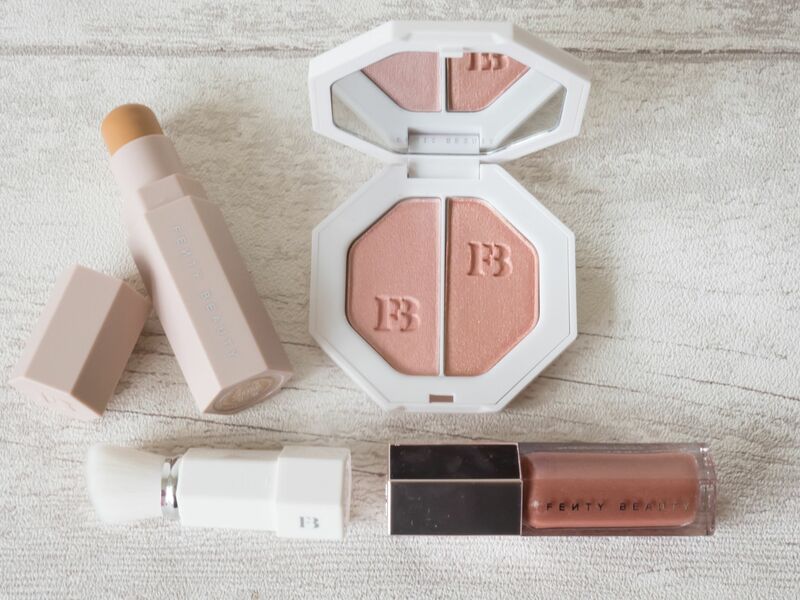 FENTY BEAUTY BY RIHANNA & WHY I LOVE IT! Last Friday saw the launch of Fenty Beauty by Rihanna and to say it had the beauty industry, the Internet, Instagram and me all in a flutter is not an understatement!! Excitement amongst beauty insiders has been growing for a while. There has been a lot of speculation about what the collection and what it would look like and include. Many were anticipating bold lipsticks, eyeshadows and dramatic mascaras. Then last week Rihanna released a preview of the collection on Instagram, to show fans and beauty lovers exactly what’s in store. She revealed a gorgeous lineup of makeup and there were a few surprises! No red lipsticks or eye makeup, but it was even better than anyone had hoped. Rihanna has smashed the stereotype of a celebrity beauty line by launching a complexion collection that really makes her collection stand out. Rihanna used her personal experiences of the gap in the market for a foundation range that is truly representative of women of all colour to drive the innovation of the beauty collection. Diversity and inclusion is at the heart of the collection and that is something I’m very passionate about. I’m a strong believer in beauty coming in all different skintones, races, cultures, shapes and sizes. Everyone has the right to feel beautiful and that’s why it’s important to me, when investing time or a purchasing decision in a makeup collection or brand, that it supports diversity and includes everyone. It’s one of the reasons I started my blog, to share beauty reviews of products suitable for a range of skin tones. 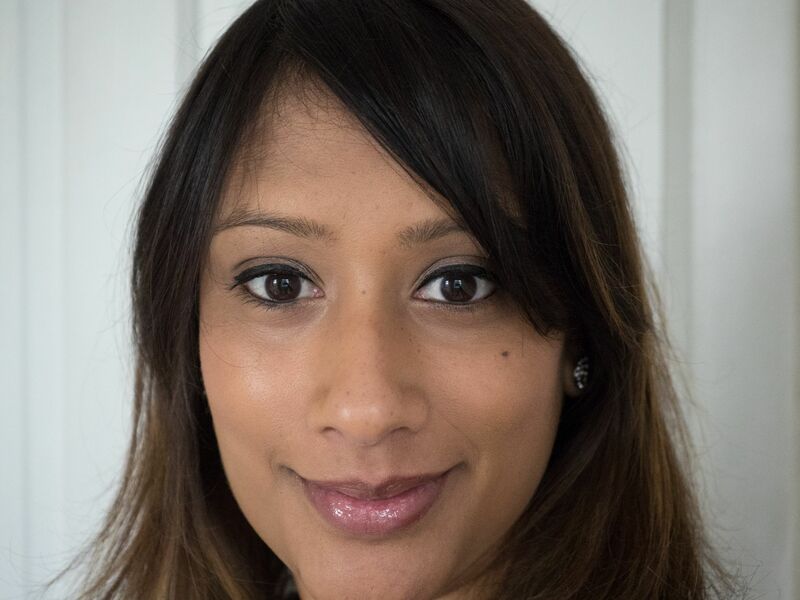 I found I couldn’t easily pop to a highstreet drugstore to pick up foundation or concealer, there just weren’t options for my Asian skin and so had to approach the high end beauty counters and was still not always finding something suitable. I lost track of how much money I’d wasted on expensive concealers that weren’t quite right but the makeup artist insisted that was going to be as good as it gets. I remember once being at a high end beauty counter in search of a face powder and when I informed the assistant behind the counter what I was after, her response was ‘no, not here, not for you, we definitely don’t have anything for you here!‘ I was so shocked, I didn’t know what to say. Looking back I should have complained, but I just felt quite horrified and that I didn’t fit in with the ideal of what beauty is. 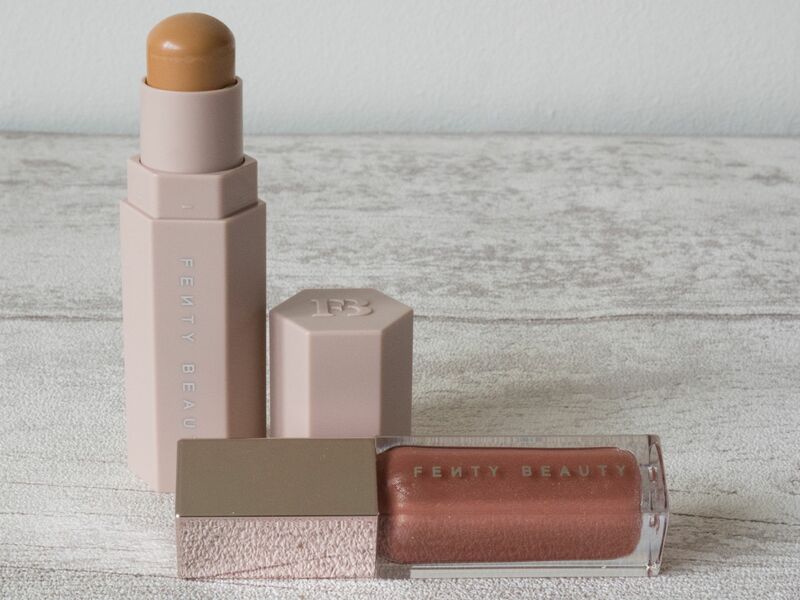 That’s why I’m loving the Fenty Beauty collection, I love what it represents. It’s a game changer and very much something the beauty industry has really needed. 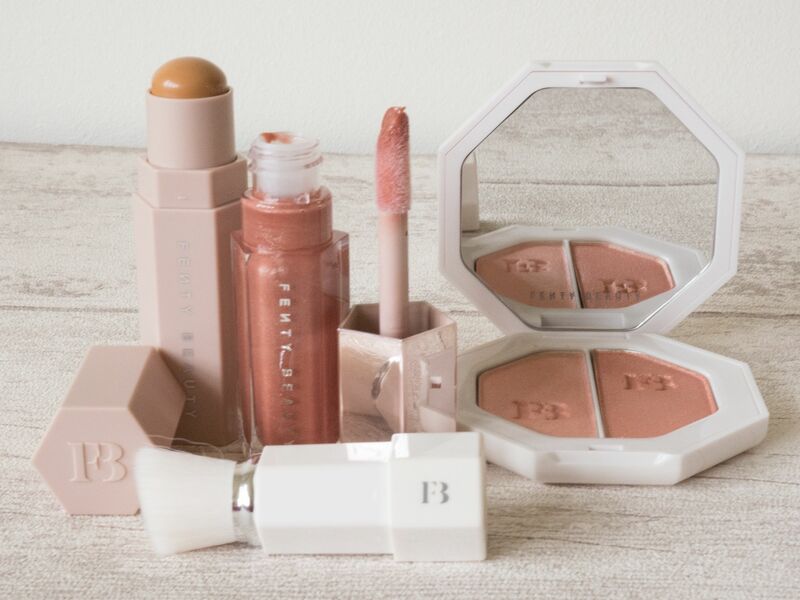 The Fenty Beauty collection really focuses on the complexion with foundations available in 40 different shades, for a wide range of skin tones which is incredible and honestly makes my heart sing! I love that the collection is quite focused and hasn’t tried to cover everything, but instead concentrate on doing complexion well and making the collection accessible. The swatches online are shown on there different skin tones which is a great approach, it makes you feel included and really helps you select the right shade. I purchased four items from the collection including the Gloss Bomb Universal Lip Luminizer the Killawatt Freestyle Highlighter Duo in Girl Next Door & Chic Phreak and the Portable Touch Up Brush. I didn’t pick up a foundation this time as quite honestly I’m trying to use up the ones that I have, but I’m definitely keen to give them a go. I did get the Match Stix Matte Skin Stick in Caramel. It’s a magnetised makeup stick in a long-wear, super-light matte formula which you can use to conceal, correct, contour, or touch up and comes in 20 different shades. I’ve been using mine to do easy contouring on the go, to even out my skin for lighter cover days and for touching up when heading out. The formula is lovely and soft, it glides onto the skin, isn’t drying at all and doesn’t drag the skin either. Importantly although the formula is soft, I haven’t so far experienced any melting in the tube or any leakage into my makeup bag which is great as I wanted this as an on the go makeup bag essential. The magnetic packaging means it literally goes together with the Match Stix Shimmer Skin Stick , a shimmer formula to highlight, blush, and bronze. Again although tempted I resisted the shimmer stick on this occasion as I’ve amassed quite a highlighter collection already. The Gloss Bomb, universal lip luminizer is the only lip product within the collection. It is a neutral gloss, so suitable for everyone. The gloss formula feels hydrating and not overly sticky, so no worries about your hair getting caught in it and getting that slick of lip gloss across your face. Chic Phreak being a more supercharged peachy pink shimmer. There are no chunky glitter pieces, just a really healthy looking glow. In the photo below you can see it’s quite a subtle glow, but that was perfect for my everyday going to work look, the highlighter is easy to layer up for a more noticeable finish. Also as it’s a duo, it’s really versatile and great value too. The only purchase I haven’t quite got on with is the portable touch up brush. The brush itself is great, soft and firm and a great portable size which doesn’t compromise on function, the only problem I have is when I’m trying to put the lid back on and the bristles of the brush don’t want to go in smoothly. It could totally be the case that I’m being a bit basic and doing something wrong, so if you have any pointers please do let me know. The collection was first announced in 2016 and the line finally launched exclusively in the UK at Harvey Nichols last Friday 8. Unsurprisingly there were long queues to get in and purchase the make-up, in fact the queues continued throughout the weekend. I’m not a fan of queues at the best of times, let alone when the weather is wet and blustery. A top tip from me to avoid the need to queue is to use the online ordering or the click and collect service if you live near a Harvey Nichols store. I placed my order on Friday morning (the website didn’t crash and it was relatively stress free) and my order was ready to collect by lunchtime. I popped by after work and side stepped the queues, it was really easy. 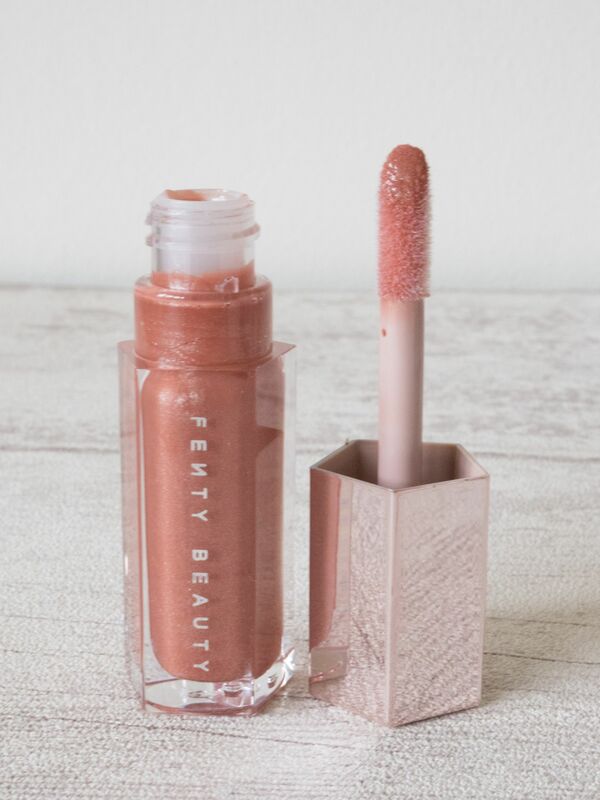 Have you tried Fenty Beauty? What are your must have picks? 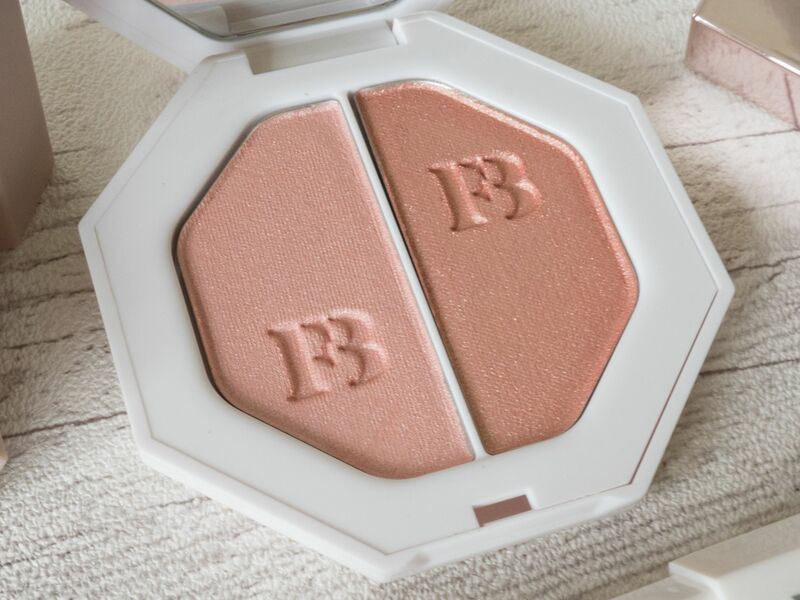 The duo highlighter looks stunning … right up my street! That’s incredible that there’s 40 shades of the foundation to suit a variety of skin tones. Looks like I’ll be visiting Harvey Nichols soon to swatch the products. Great review! Aww thanks Lana! Yes the Harvey Nics beauty hall is always worth a visit. So glad you liked the post. Well written review. 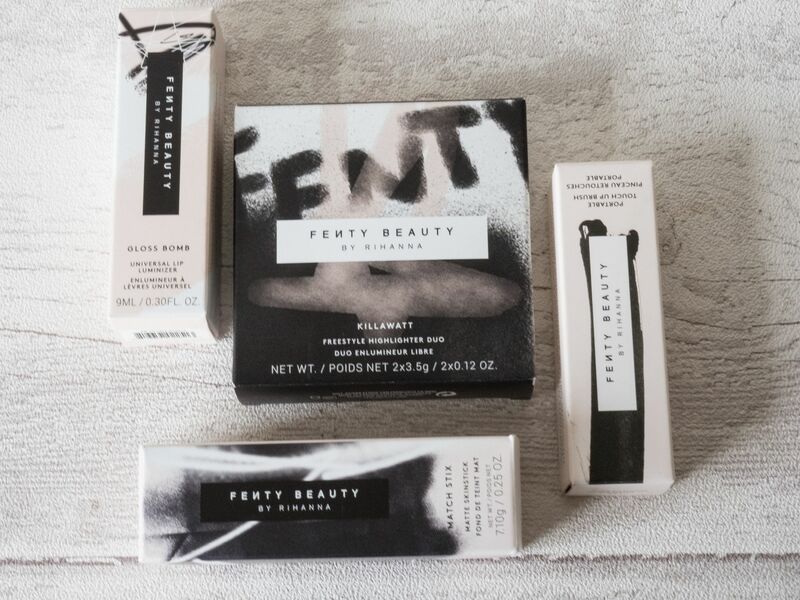 Like Fenty and Rihanna have a wide range of foundations.